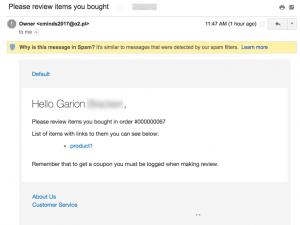 Once a customer leaves a review and the admin approves, a unique coupon is sent to the user. 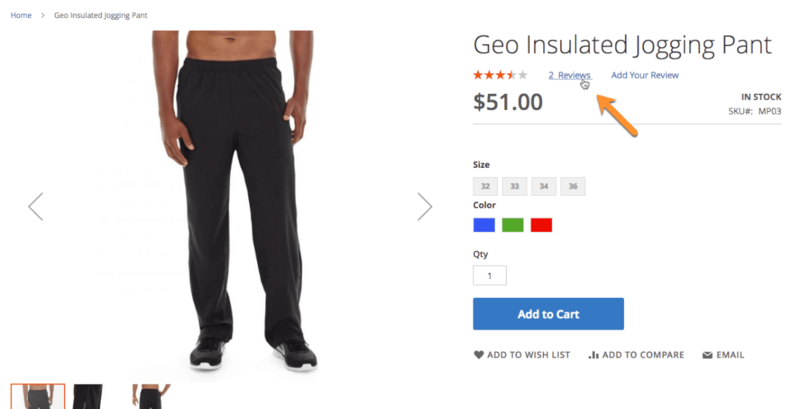 Use this extension to gain shopper reviews and increase conversion! Product reviews are an important source of information for prospective customers from those who have purchased your products already. Sometimes it can be difficult to get customers to write customer reviews. 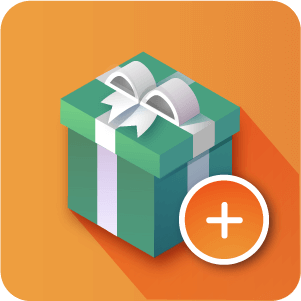 The Magento Product Review Extension allows you to automatically send product review incentives to customers after a purchase is completed to encourage product reviews. 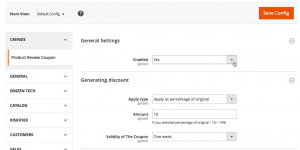 Admins can create a rule for generating a unique coupon code that is activated when a shopper review is moderated and approved. 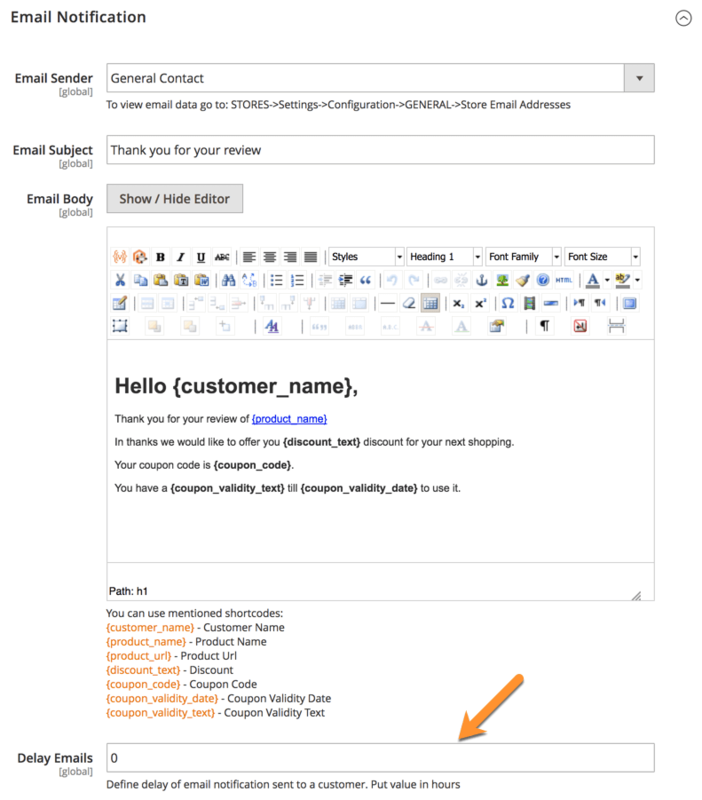 In addition Admins can customize email templates, and schedule when the email should be sent. 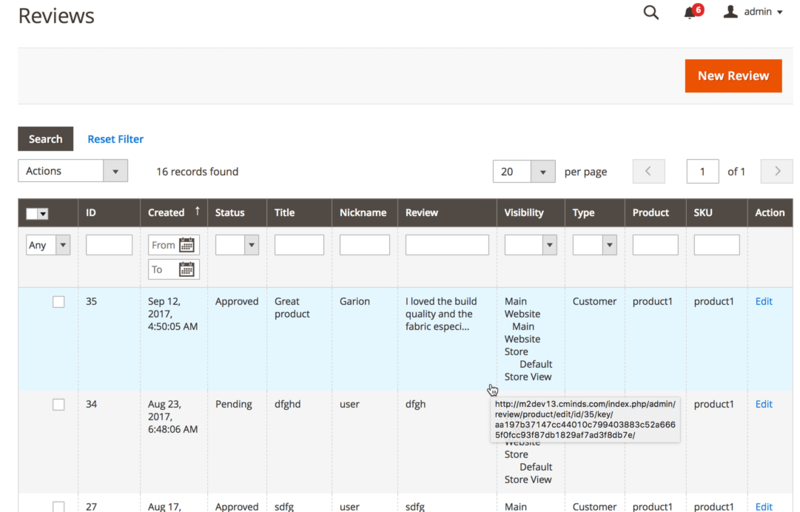 Admins can view a full report of sent coupon codes and coupon usage for easy tracking. 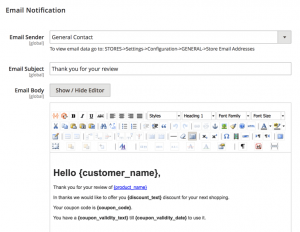 Increase Conversion Rates With CM Customer Review Extension for Magento®! 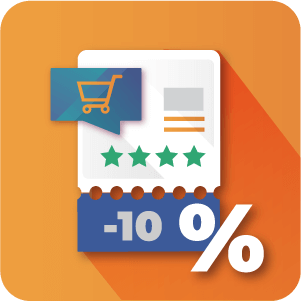 Gain Credibility and Drive More Sales with our Magento Reviews Extension! 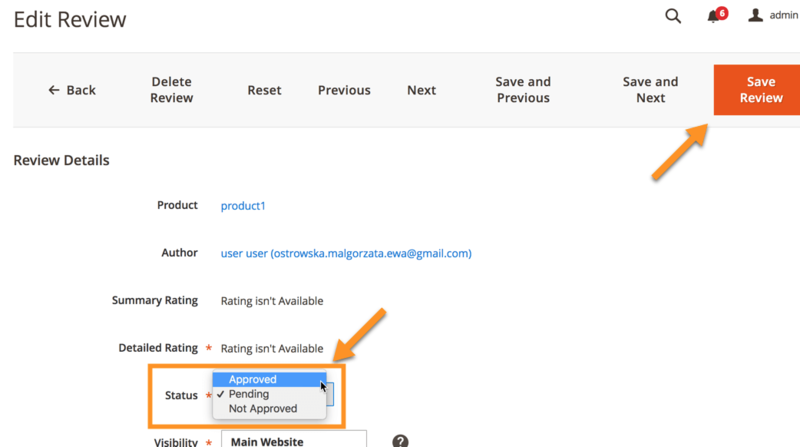 New Magento® Reviews Extension Will SkyRocket Your Product Credibility! 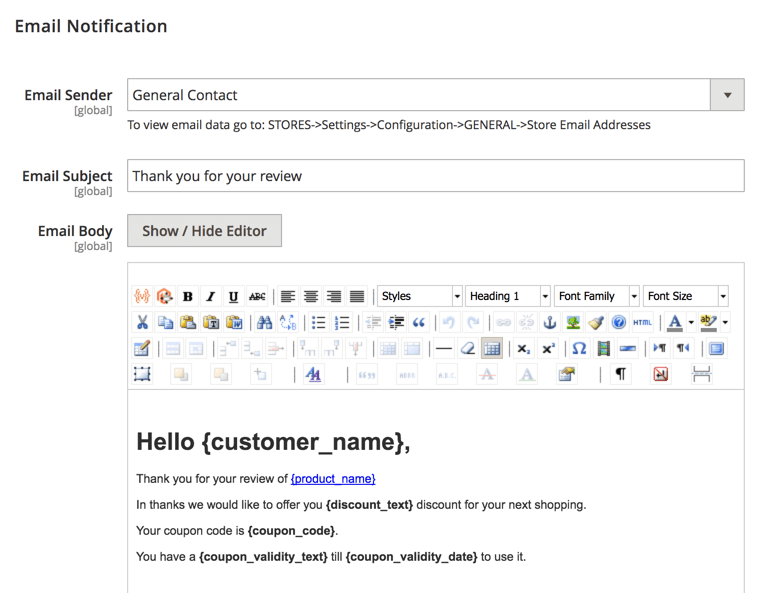 Do I have to include a discount code when I send a review request using this extension or can I just send the email asking for the request without a coupon? 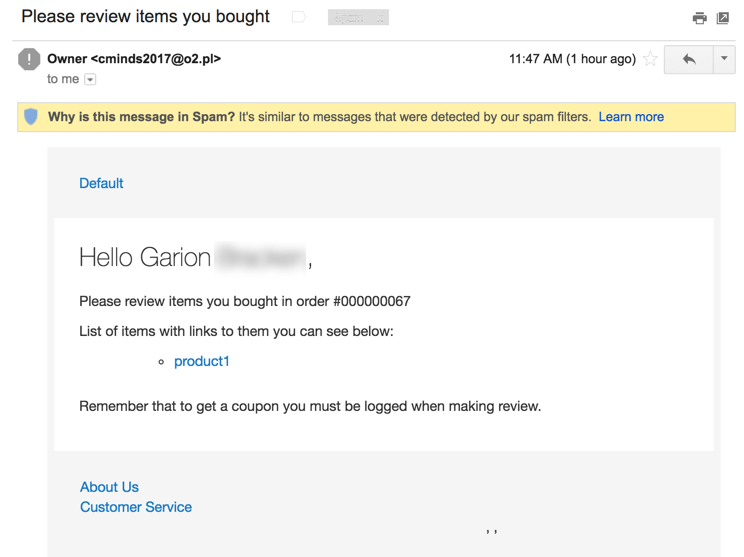 You don’t strictly have to send a coupon code or discount to a customer when requesting a review. 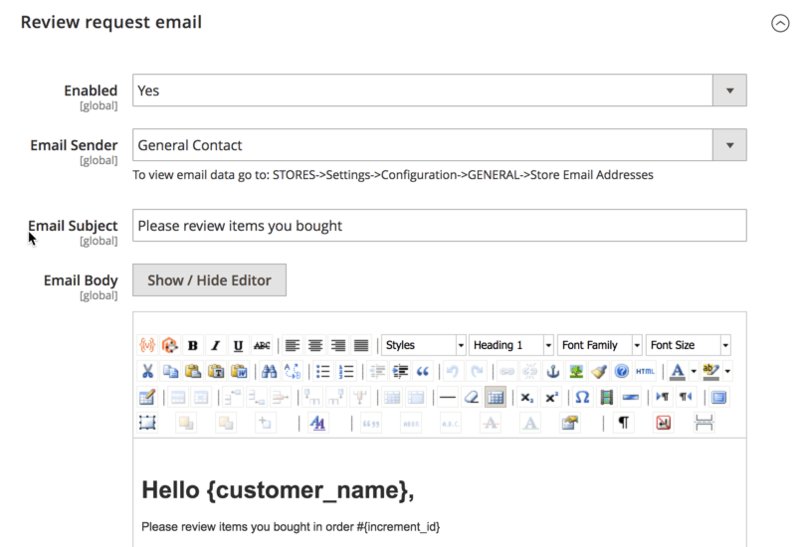 When creating the email template to send to the customer after they’ve completed a purchase just don’t add the shortcode for generating a discount code and it won’t be included. 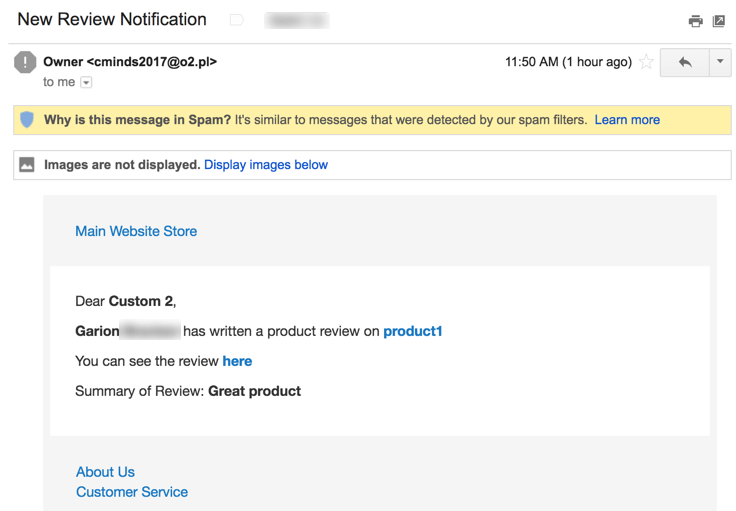 What if I receive a bad customer review for my product? 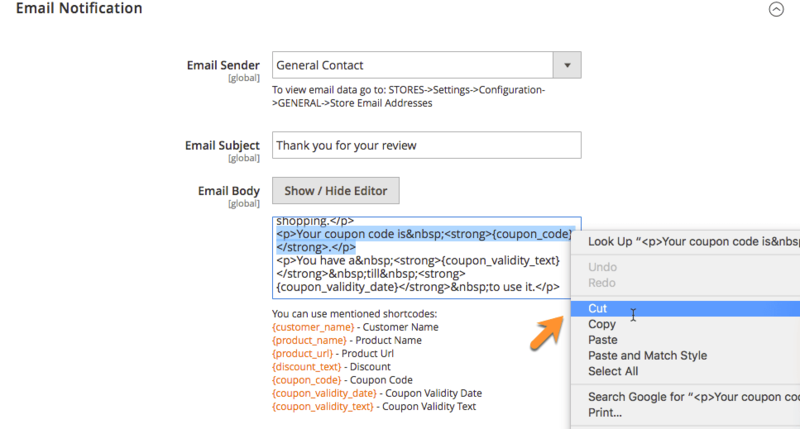 If you promise a coupon code as an incentive, people are more likely to post positive reviews. However, even reviews that sound negative can help your sales by adding legitimacy to all other reviews. 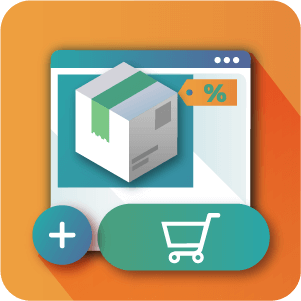 If you really don’t want a specific review to appear on your site, you can disapprove it, in which case the review coupon will not be activated. 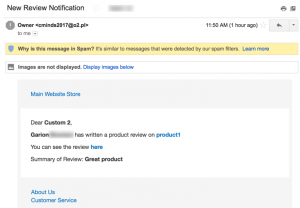 When is the review request email sent to the customer? The review request email goes out after the customer has completed the purchase and the item has been shipped (if it is a physical product). You can then decide what kind of delay there should be between this and the email being sent. The delay is set in the Extension Configuration settings. When is the Coupon code created? The coupon code is created and sent to the customer after they have completed the review and it has been approved for the site. Is the store administrator notified when a new review is submitted? Yes. 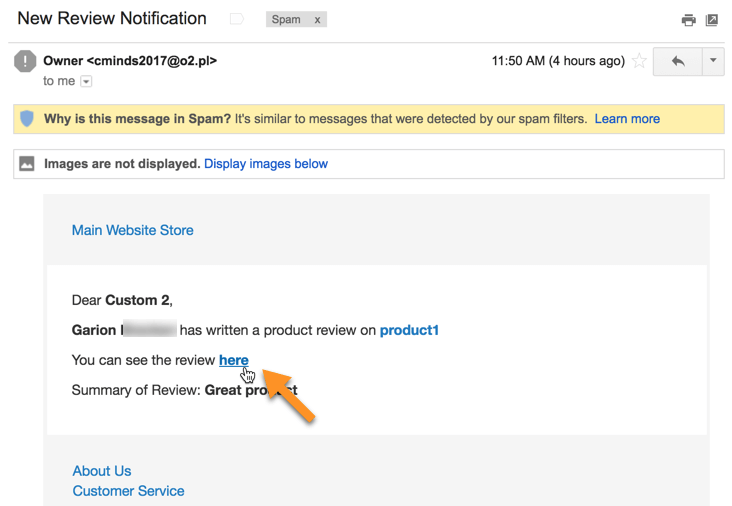 The admin is notified via email when new reviews are submitted by customers. 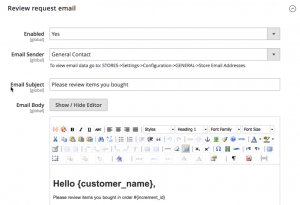 They can then choose to log in as normal or follow a link included in the email (if configured as such). It’s also optional to delegate another recipient of submitted review emails or to disable them if you would rather respond to them in your own time without prompting. 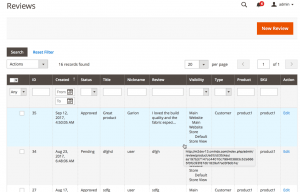 How many coupons can a customer receive for one review? The Product Review incentive extension only sends one coupon per review. 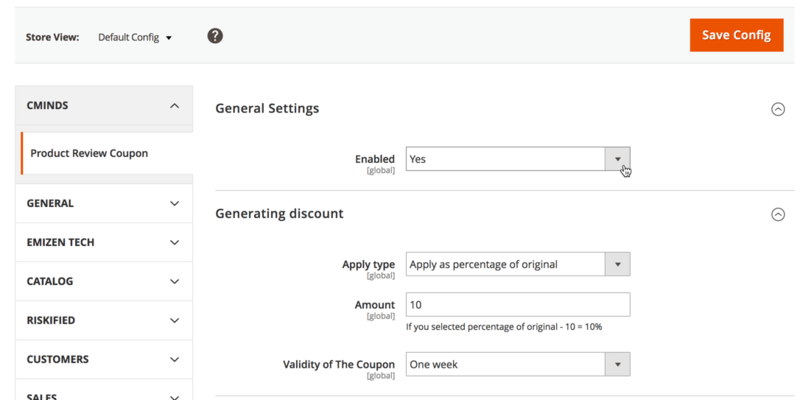 The amount or percentage discount that the coupon allows the customer is up to the admin though. They can be as generous as they wish with this. 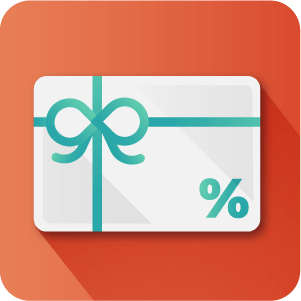 How long are Coupons generated by the Extension valid for? 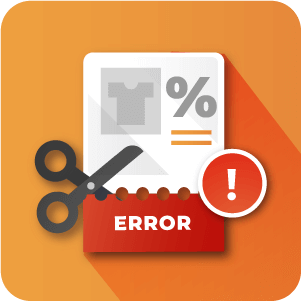 Coupons can either be created to be valid for one week or for one month from their creation date. This is set in the configuration settings.